Which way is up? 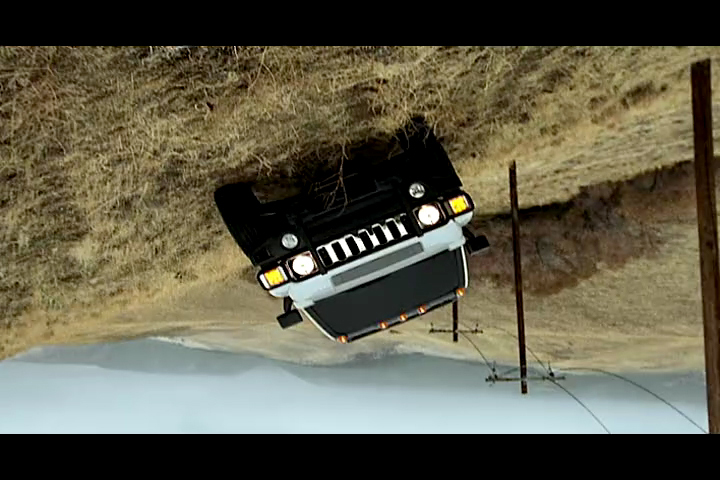 A dizzyingly new spin is put on Hummer by revolving, tilting, and panning the camera to show off the new mid-size H3 sports utility vehicle travelling across a typical off-road terrain, beginning with a shot of it all upside-down. Director Daniel Levi often takes an unconventional approach to filmmaking and knew just what to do with 'Vertigo'. 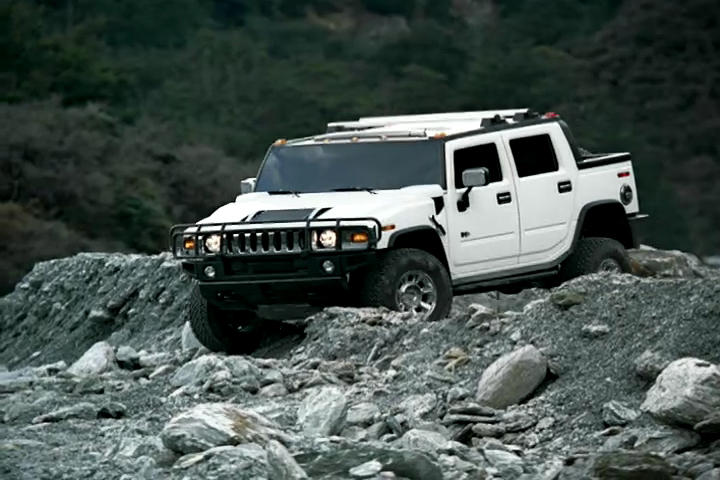 The camera moves rapidly around the vehicle, travels from passenger window to driver's window, then shoots up through the sunroof to do a complex aerobatic manoeuvre while tracking the Hummer H3 from a bird's-eye point of view before pulling up ever higher to end on a satellite view of the Earth. Apart from the usual tweaks and clean-ups, The Mill did all the rotations in Flame, digitally extended the landscape, and added 3D birds to aid the transition between shots. Landscape was also generated to replace the Reel FX 180-degree rig they removed from each frame. 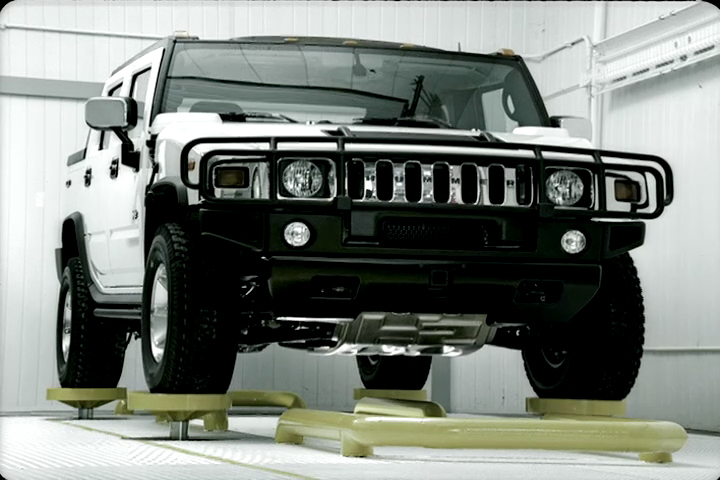 Since the windscreen had to be removed for the shoot, the CG team used Softimage to recreate the glass and its reflections. The pull-out was done in three stages. A first helicopter shot focused on the H3 and was repeated at 61-metre (200-ft) increments until the helicopter reached its maximum altitude. GPS coordinates of the location gave access to satellite imagery that could be matched to the film footage. For the moves out into space the team blended the helicopter and satellite images by nesting the elevation images one inside the other.